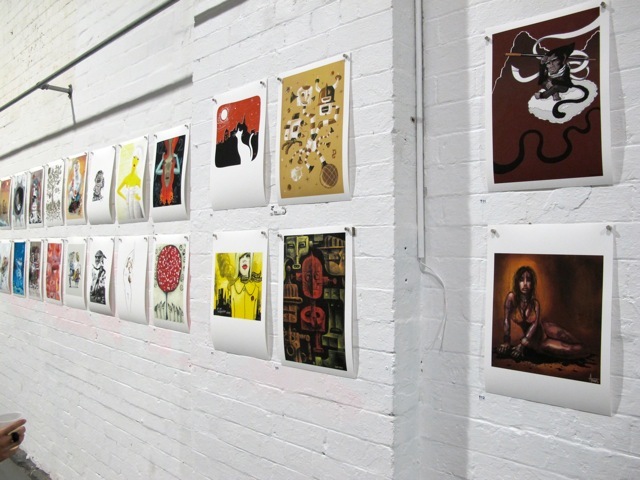 Next week is opening night for the Illustrators Australia A3 print show. Come along to the Fraser Studios (10-14 Kensington St, Chippendale, Sydney) on Friday 19th August, have a drink, look at some beautiful artwork (and mine) and maybe even buy a print. They are very reasonably priced, and are printed using the Gyclee process on fine art paper. I have a couple of works in the IA A3 show. Opening night is tonight, and there is bound to be a lot of amazing work on show. All the works are high quality giclee prints and are available for purchase at a reasonable price. Well, it was a good night. Met a few great artists and got to see a lot of brilliant work. Well done to Illustrators Australia, especially Christopher Nielsen and Nigel Bachanan for pulling it together.